Safety Data Sheets (SDS) are required for hazardous chemicals under the Occupational Safety and Health Administration (OSHA) Hazard Communication Standard 29 CFR 1910.1200. 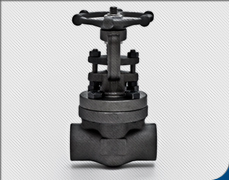 Bonney Forge Corporation® has determined that its valve and fitting products are "articles", as defined by this standard, and therefore do not require material safety data sheets. OSHA defines "articles" under 29 CFR 1910.1200 (c) as a "manufactured item:"
Which is formed to a specific shape or design during manufacturing. Which has end use functions(s) dependent in whole or in part upon its shape or design during end use. Which does not release, or otherwise result in exposure to a hazardous chemical under normal conditions of use. "Articles" are exempted from the regulations of 29 CFR 1910.1200(b)(5)(iv). Forged steel fittings and valve products are not in themselves hazardous substances. However, burning, welding, grinding, sawing, shot blasting and machining may generate dust particles or fumes that if allowed, may accumulate in excess of the OSHA recommended Permissible Exposure Limit (PEL) and may present a hazard. All operations of this nature should be performed in well-ventilated areas with adequate protection. Reference the fitting ASTM material grade for specific elements content, then reference the attached listing of elements for additional information.